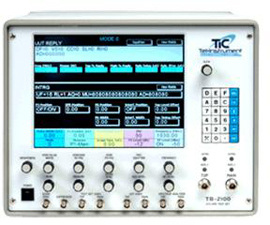 The TB-2100 ATC DME Avionics Test Equipment Set gives test functions for Modes A, C, and S Transponders as well as Distance Measuring Equipment or DME. This test permits testing of Mode S Transponders with latest functions for Extended Squitter, ADS-B, TIS, and European requirements for both Enhanced and Elementary surveillance. The test set also employs Flash memory for simple firmware updates.